Agilent Technologies has announced that its Vector Signal Analysis (VSA) software offers HSPA+ analysis capability. In addition, Agilent Technologies' Signal Studio software for 3GPP W-CDMA simplifies creation of the HSPA+ higher order modulation used in testing 3GPP-compliant components for base or mobile stations. Together, these software tools provide today's R&D engineers with the data they require to troubleshoot PHY layer signal problems. "Agilent's Signal Studio and VSA software applications are cost-effective, powerful tools that allow users to gain tremendous insight into signals when developing wireless components," said Guy Sene, Vice President of Agilent Technologies' Signal Analysis Division. "With their support for the 3GPP standard, these popular tools are now more critical then ever in helping R&D engineers confidently drive this emerging wireless standard forward." Agilent Technologies' 89600 series VSA software provides R&D tool for gaining better insight into the signals employed in today's cellular and wireless networking formats such as HSPA, LTE and WiMAX. The newly added HSPA+ functionalities include 64 QAM analysis for the downlink and 4-PAM (16QAM) analysis for uplink. Also supported is a predefined setup for Test Model 6 for the downlink, Code Domain Power, Composite EVM, Symbol EVM and more. Engineers can use the software to make HSPA+ measurements anywhere in the block diagram, from baseband to antenna, on digitised or analogue signals -- both uplink and downlink. In addition, the software works with more than 30 Agilent Technologies’ instruments, using spectrum and signal analysers, oscilloscopes and logic analysers. 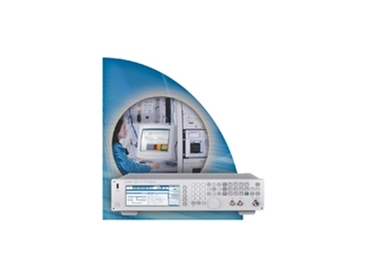 The Agilent N7600B Signal Studio software provides a flexible, application-specific solution for generating arbitrary waveform signals that comply with the 3GPP HSPA+ PHY layer specification, including 16QAM, 64QAM, 4PAM modulation, uplink sub-tests, and Test Model 6 predefined setups. When paired with the N5182A MXG vector signal generator, the N7600B Signal Studio software delivers good ACLR performance. The Agilent Signal Studio family features a complete portfolio of 3GPP-specific solutions for the GSM, EDGE, EDGE Evolution, LTE, HSPA, HSPA+ and W-CDMA standards.